POWER CENTRE CHURCH INTERNATIONAL EVENTS | "A Going, Glowing, Gathering, Growing Cell Groups Church..Impacting Nations!" "A Going, Glowing, Gathering, Growing Cell Groups Church..Impacting Nations!" Hey there! Thanks for dropping by POWER CENTRE CHURCH INTERNATIONAL EVENTS! Take a look around and grab the RSS feed to stay updated. See you around! Women Restored, Chosen and Now Coming Forth! 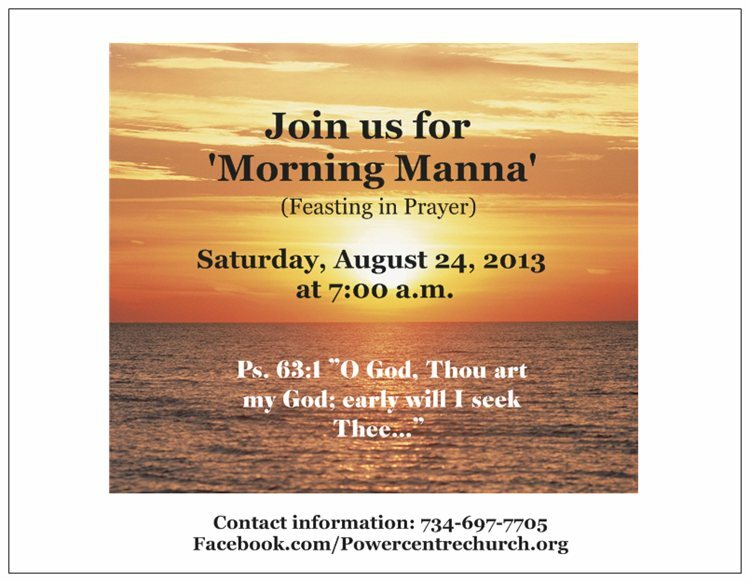 Join the Women of POWER for MORNING MANNA, feasting in Prayer on August 24, 2013 at 7:00 a.m. Apostle Andrea Dudley will set the atmosphere and lead us into prayer for our families, health, finances and our love ones in the military…. “Things happen when WOMEN Pray!” Come out and be blessed! 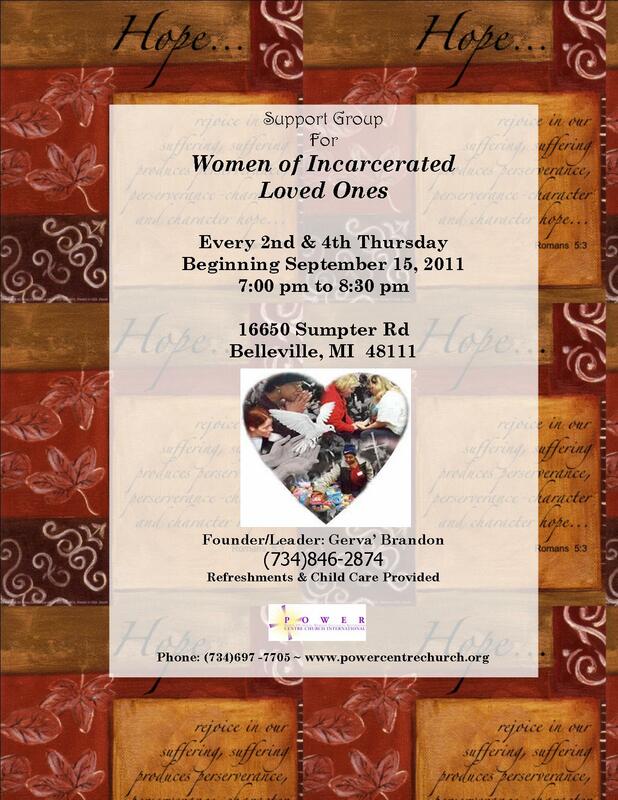 Friday, 8/23/13 @ 6:45pm Special Speaker: Prophetess Charmein Downer will kick off our Women’s weekend Event! Sunday, 8/25/13 POWER Dinner, after morning Service. Tickets on sale a now!